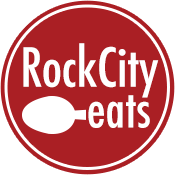 Little Rock’s culinary scene is more than just new restaurants and buzzworthy chefs. There are many places here that have stood the test of time and are still cranking out crowd-pleasing food and drink. 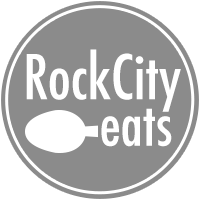 Rock City Eats is proud to present Origins, telling the stories of the restaurants that have set the standards for Central Arkansas dining. Few signs are as instantly recognizable as the overhanging awning that welcomes guests to The Oyster Bar. The green and purple motif facing north on Markham St. is as much a part Stifft Station as anything has been in the neighborhood’s nearly 100-year history. Now in its 41st year in business, The Oyster Bar is one of the true culinary foundations of Little Rock, a direct tie to the city’s Louisianan influences and love for downhome dining. The building that now houses The Oyster Bar started as a grocery store in 1924 for the first true westward expansion in Little Rock. Decades later, it would serve as a fresh seafood retailer until it was turned into a restaurant back in 1975. Boyd bought The Oyster Bar after working as a waitress there as a side job. Her parents had owned The Tasty Treat dairy bar in Harrison, and Boyd had spent time in Louisiana getting to know the food culture there, so to her, this was the next logical step. Boyd and a partner instantly began making changes to make the restaurant more appealing. The northeast corner of The Oyster Bar held two pool tables and some games at the time, and those were removed to make room for 47 seats. But the biggest problem she had to solve was the curb appeal. “There were no windows!” says Boyd. “The first time a friend brought me here, I just thought it was a bar. There was an old Miller High Life sign hanging out front, plastic, with lots of holes in it. It wasn’t somewhere I was interested in visiting. It was like eating in a cave. Of course, The Oyster Bar is now clearly a family restaurant both inside and out, with plenty of nods to history. Chairs likely taken from Ray Winder Field serve as a waiting area. An antique refrigerator door completely covered with decades of bumper stickers is now a modern art installation. A liberal application of wood paneling testifies to the era the restaurant was born. An intimate, private dining room looks like something preserved from an old Shriners lodge. The menu still has many of the favorites that got people coming in more than 40 years ago. And then, there are the stories. While there have been some updates in décor and staff, the original spirit of The Oyster Bar is largely intact. Boyd credits that authentic, casual atmosphere and reliable menu with attracting new customers and keeping older fans loyal.